There are a number of well-recognized long-form improvisation structures. A good number of those were developed here in Chicago. 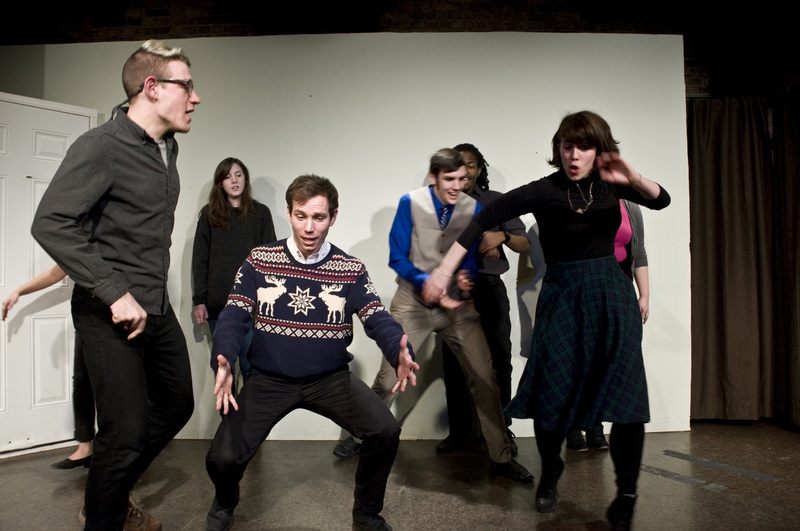 When a theater company claims to have created a new style of long-form improv, in the land that gave the world “The Harold,” it is bold, indeed. What could this new style bring to the table that makes it novel and interesting? Well, “Trigger Happy” puts forth a new style that is based on what director Mick Napier calls “a show that, although completely improvised and funny, still provides for the audience the look and feel of a staged production.” Since an improv show is different each time it is performed, and performers have on and off nights, I cannot really tell you if you’ll see a show of the same caliber as the one that I did on the night I attended (it was good—not side-splittingly funny, but still enjoyable and worth attending). What I can more fairly review is the structure of this new style and whether it appears to have staying power. In short, it does seem to be at least close to reaching Napier’s goals. There is evident structure to the show, more so than in a basic montage or the more nuanced Harold. Like many other structures, the scenes are separated by games. In this case, the games make up most of the show’s content, and repeat in a way that becomes comfortable and familiar to the audience. It almost seems like the first half of the show instructs the audience on how things are going to work, and the second half reinforces the impression and thereby becomes the better half of the production. The Annoyance Theatre, 851 West Belmont, (773)697-9693, theannoyance.com. $18. Through March 20.